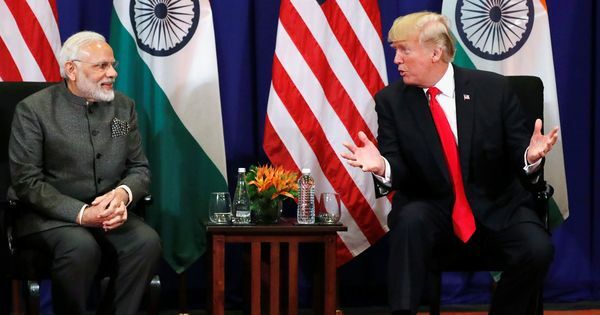 The Narendra Modi government signed an agreement with the French company Areva that a report says is 'technically bankrupt' with 'few credible prospects'. In April this year, Areva, the French multinational which is listed as the world's largest nuclear company, enjoyed a moment of exhilaration when India signed an agreement for licensing the company's nuclear reactors for the Jaitapur project in Maharashtra. Inked by the state-owned Nuclear Power Corporation of India, under the benign gaze of Prime Minister Narendra Modi during his official visit to France, the agreement came in the midst of deepening gloom in Areva over mounting losses and poor performance. Once the world's largest nuclear company, Areva is deeply in the red and is under attack for the defective quality of its reactor parts. Areva’s debacle features in a reputed nuclear industry report released on Wednesday. The World Nuclear Industry Status Report 2015 noted that the French state-controlled integrated nuclear company “is technically bankrupt after a cumulated four-year loss of €8 billion and €5.8 billion current debt on an annual turnover of €8.3 billion”. According to the report, it has “few credible prospects for EPR orders other than a long-delayed project in India”. EPR is a Generation III reactor. Worse still, “serious defects found in several French pressure-vessel forgings could scuttle the entire EPR enterprise,” the report warned. Areva is not the only nuclear company in trouble. The entire industry is facing a downturn, according to the report, which was published by Mycle Schneider Consulting. Primarily, this is because the promise of technological improvements held out in the 1990s has been completely belied. “Twenty years on, not one of the Generation III reactor designs is yet in service. And the kind of reduced costs that were being talked about at that time have been proved entirely illusory." The Jaitapur project is part of India’s ambitious but poorly thought out programme to ramp up nuclear power capacity in India by awarding contracts directly to foreign reactor manufacturers. It was initiated by the United Progressive Alliance government in the wake of New Delhi's nuclear agreement with Washington. Former Prime Minister Manmohan Singh was its principal advocate but the programme has found an enthusiastic supporter in his successor Narendra Modi. Jaitapur, with a proposed capacity of 9,900 megawatts, will be world’s largest nuclear project. Areva was to build six of its mammoth EPR reactors. The controversial EPRs, each with a capacity of 1,650 megawatts, have not been a success. Just four have been sold worldwide in the 20 years since they were put on the market and all of them have been plagued by inordinate delays and huge cost overruns. Not a single EPR is in operation today. While India has one of the oldest nuclear programmes, starting electricity generation from fission in 1969, “it is also one of the most troubled nuclear sectors in the world and has encountered many setbacks,” states the report. “This is in stark contrast to the development of the renewable sector, which is booming,” it adds. In the last two years, wind energy has overtaken nuclear power in the country. Energy experts believe the Areva debacle has contributed in no small measure to the growing disenchantment with nuclear power globally while renewable energy is growing at a smart clip. This is the dominant theme that emerges in the World Nuclear Industry Status Report 2015, which reveals that the construction of new nuclear plants has plunged from 15 in 2010 to three in 2014. Currently, 62 reactors – five fewer than a year ago – are being built and most of them are delayed hugely. Five of these have been listed as “under construction” for over 30 years. In India, the Kudankulam-2 unit has been listed as “under construction” for 13 years and the Prototype Fast Breeder Reactor for 11 years. Among the more interesting revelations in this annual nuclear industry report, which claims to take a forensic approach to its analysis, is that Japan went without nuclear power for a full calendar year in 2014 for the first time since commercial nuclear power generation started in the country 50 years. Yet, no lights went out. The report finds "a profound change” in the power sector owing to rapid technological strides. “This is driven by a variety of factors, but one of the most powerful is the greater deployment of renewable energy to mitigate climate change and to exploit increasing economic competitiveness,” say lead authors Mycle Schneider and Antony Froggatt. In his foreword, Jonathon Porritt, co-founder and trustee of Forum for the Future and former chairman of the UK Sustainable Development Commission, finds the “astonishing changes in the solar industry epitomise the general direction of travel: there now seems to be a general recognition that the fall in production costs of renewable energy technologies, particularly solar photovoltaic, coupled with the expected falling costs of electricity storage, will accelerate the transformation of the power sector”. MV Ramana, physicist and lecturer at Princeton University's Programme on Science and Global Security and the Nuclear Futures Laboratory, concurs with the report's findings. “The nuclear industry is gradually losing market share and there is no sign that this trend is going to change,” he said in an interview to Scroll.in. Ramana points out that more investment is going into solar and wind than nuclear. Between 2000 and 2013, annual worldwide investments in nuclear power averaged to $8 billion as compared to $153 billion on renewable, according to the International Energy Agency. Asked if the Modi government, too, was not following a similar course since it has ramped up targets for renewable energy, specially solar, Ramana said: “It’s true that this government is much keener on renewable energy, especially through projects built and operated by large private corporations, a major support base for Modi.” But that, however, would not deflect it from pursuing nuclear power. The Mithi Virdi nuclear project in Modi’s home state of Gujarat bears out this view. In February this year, the 6,000 megawatts project in Bhavnagar district got the coastal regulatory zone clearance from the Union Ministry of Environment, Forests & Climate Change despite the vehement protests of environmentalists and local residents. The approval was a shot in the arm for NPCIL which has been unable to get the required land from farmers violently opposed to the project. But why did Modi choose to sign a risky pact with Areva, a company that is deeply in the red? The agreement with the French multinational appears to have been a case of politics trumping common sense. Ramana, who has written a comprehensive history of nuclear power development in India, believes the agreement was motivated by political considerations to advance geostrategic interests rather than technical or economic criteria. “Inasmuch as the ability of civil society to question governments is limited and is coming increasingly under attack," he said, "it may not be easy to write off the project." He warned that the country could be stuck with the Jaitapur project however unviable it may turn out to be.